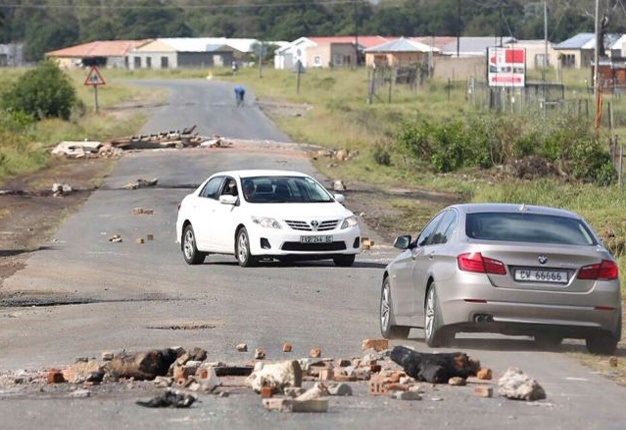 Protesters around Gauteng and the Western Cape have caused havoc on the roads again. Roads have been closed and many motorists were forced to find alternate routes or cancel their trips and meetings all together. As we approach what is informally called ‘strike season’ in South Africa, this is something we can expect to happen many more times over the coming months. It is only once you find yourself facing a strike while in your car, that you may be at a loss about what to do. "There are two considerations that will be top of mind, how to keep yourself safe and how to keep your vehicle undamaged. The most important of these is your personal safety. "Listen to the news and look at alerts on social media and apps before choosing a route. The simplest way to remain safe is to avoid it all together. In instances where this is unavoidable, look for routes that go around the conflict." It is also important not to engage with protestors negatively. "This includes listening to authorities who are trained to defuse the situation and protect the other citizens from harm. Even with authorities on scene, protesters are known to hurl objects at motorists. While it is important to protect your vehicle from damage, the priority should be your personal safety," advises Herbert. It is also possible to be caught up in a strike before authorities arrive. "This is why it is essential to keep an eye out for people gathering at the side of the road or on bridges. Drive watching 12 seconds ahead of you so that you can identify any volatile situations immediately. "If you are forced to stop or slow down because of a protest, be careful not to block yourself in. Do not stop right behind the car ahead of you and identify an escape route. This will ensure you will avoid getting trapped in by traffic and also give you an option to escape the trouble. "While you are stationary, unbuckle your seatbelt so that you can get out of the car quickly if necessary. The car, however, is normally the safest place." If you ever find yourself in this frightening situation, remaining calm is key. "The objective is to avoid the situation completely. Never let a potentially dangerous situation catch you by surprise or block yourself in when things can turn violent. South African drivers should be prepared for every scenario,” advises Herbert.